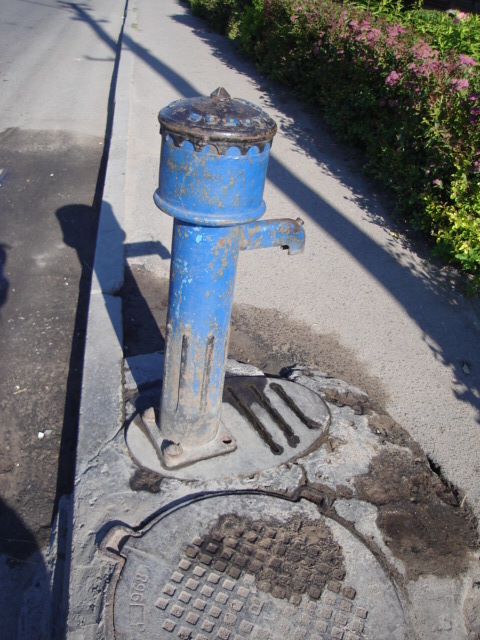 This is what I believe is a water spicket, right in the middle of the sidewalk. 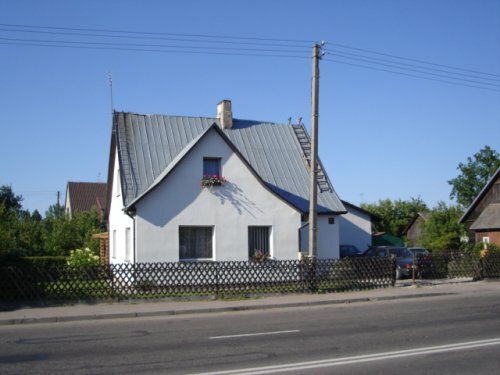 Typical home in Lithuania, this is not a poor country. 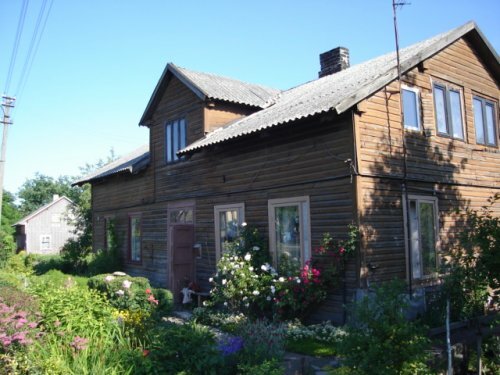 Wood siding however not normally painted the way we would think. 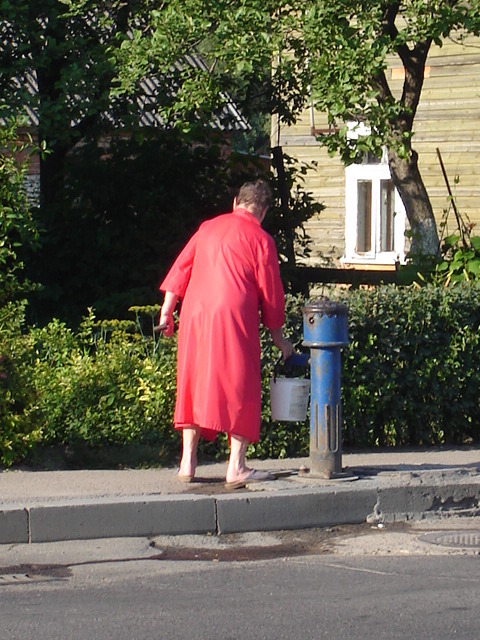 This lady later got water from the water spicket.